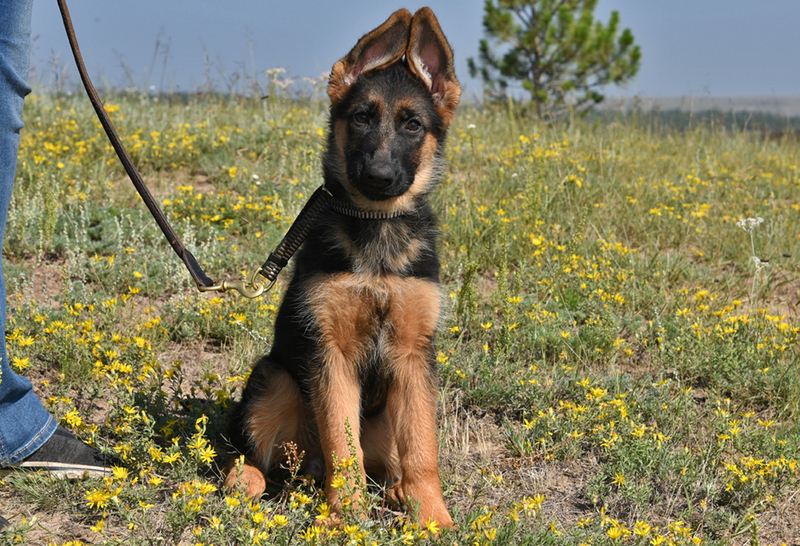 We offer a five year "honest" guarantee: We're so confident in our World Class Gunbil German shepherds breeding program that we can offer you a "WORRY FREE" FIVE YEAR genetic health and temperament guarantee! In the event that the guarantee is honored, Gunbil German Shepherds will provide another dog of the same quality, age, gender (of choice) and value. We do not ask that you return the original dog to us. Our five year guarantee is for your peace of mind, our commitment to you and your new puppy/dog. For more info, please click here. Puppy Imprinting and Socialization Program begin at puppy-hood. This early training provides your puppy a head start in their new life! There is a special period of learning that occurs during puppyhood, which enables young dogs to quickly absorb information about their world and how to react to it. Each experience defines your puppy's future behavior and dictates how they will respond to humans. At our Purebred Puppy Training Program we teach young dogs to see humans as their leader, understand rules and boundaries, and imprints each foundational command upon which all future obedience skills are built. Our trained puppies come with house training, crate training, socialization skills with children, adults, other animals, including dogs. Object orientation in building drive with motivation to perform. Our trained puppies live with our families and our children, with regular bathing, trimming of nails and cleaning ears. Our trained puppies are introduced to stairs and slippery floor environment as well. 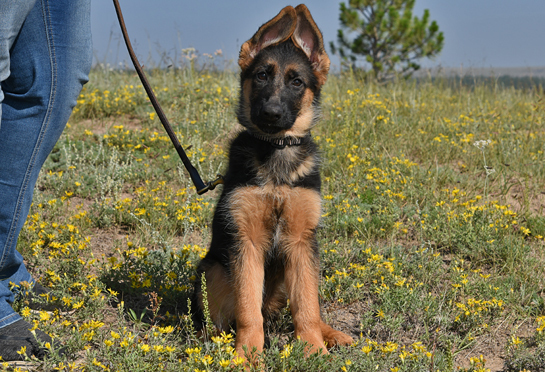 Your puppy will be trained in: Follow the leader/Play/Focus, Learn to walk at a heel on leash, Heel, Sit, Stay/Sit/Down/Sit/Down (repeated), Come. We have over 440,000 (440K) likes & followers on facebook! With an "A" rating, over "800 reviews & Recomendations" on Facebook with 4.6 score! Training Obedience Trained, crate & Potty Trained - excellent social skills, very friendly and happy puppy! Star, will make a wonderful family dog. She has an outgoing personlity with fun and happy attitude. 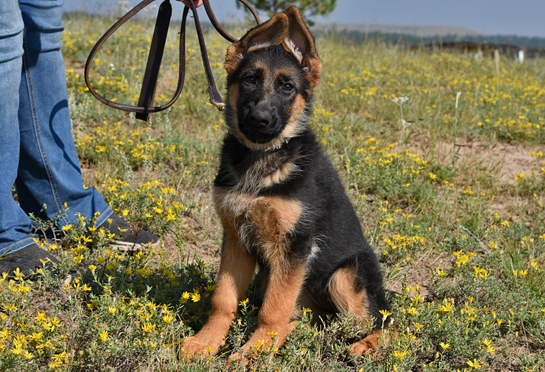 Housed trained, crate trained and does very well with basic obedience. Very confident, self-assured, with excellent prey/play drive, with superior alertness, excellent protection abilty if needed! Will thrive in a family home environemnt. Star, loves children and plays well with other puppies. Very healthy pedigree with excellent health value! She is intelligent, loves to please, should do well in any endeavor. Pedigree is consistent of multiple world champions, Granddaughter of SG1/VA1 Zamp vom thermodos (Twice World champion). Your puppy come with a FIVE year "Genetic Health" & "Tempermant" Guarantee!